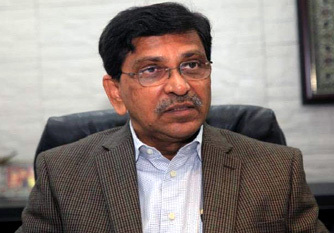 Awami League (AL) joint general secretary Mahbubul Alam Hanif on Thursday said BNP now randomly picks issues for doing politics after experiencing massive debacle in the last national elections. “After facing terrible defeat in the national elections, BNP is now trying to do politics by picking up issues randomly,” he said. Hanif, also AL’s one of the spokesmen, came up with the remark at a discussion meeting in the capital’s Engineering Institution auditorium on the occasion of the 16th founding anniversary of Bangladesh Tanti League. In an oblique reference to Tariq Rahman, he said living an absconding life in London by being convicted in corruption and terrorism cases it would be of no avail to search for issues. The people of the country want development and prosperity, he said, adding that “we are united under the leadership of Prime Minister Sheikh Hasina”. In response to BNP’s complaint about Khaleda Zia’s treatment, he said that what kind of drama they (BNP) are trying to stage to this end is not understandable. Jail authority is currently providing improved medical treatment to Begum Zia by the doctors of the country’s highest medical institution, Bangabandhu Sheikh Mujib Medical University (BSMMU), he said. “We mourn the death of the student in a road accident and agree with their (students) demand for safe road.” he said, adding, the unfortunate part is that BNP wants to do politics by capitalizing on this issue also. With President of Bangladesh Tanti League Engineer Mohammad Shawkat Ali in the chair, the meeting was addressed by Bangladesh Tanti League General Secretary Khagendra Chandra Debnath, its Vice President Jahangir Hossain Biswas and Joint General Secretary Nesar Uddin Ahmed.